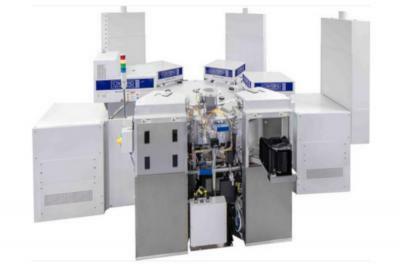 UK-based plasma etch and deposition processing system maker Oxford Instruments Plasma Technology (OIPT) announced that it has sold several PlasmaPro 100 systems, including both etch and deposition systems, to ITRI for its micro-LED R&D program. Taiwan's ITRI (Industrial Technology Research Institute) is reportedly developing Micro-LED technologies for both small-size (microdisplays) and large-size (130-inch and larger) applications. Aixtron and PlayNitride signed a joint-collaboration agreement to accelerate Micro-LED development. Aixtron will deliver an AIX G5+ C MOCVD system to Playnitride, that will be used to produce GaN-based Micro LED devices. Aixtron says that the G5+ C is an advanced advanced production tool that offers market leading wavelength uniformity to meet the tightened Micro LED market specifications in a batch reactor high-throughput environment. The system allows for the lowest defect and particle level in the industry due to an effective in-situ cleaning technology and the cassette-to-cassette handler which is essential for high yields. The G5+ C MOCVD was recently ordered by Plessey for its own GaN-on-Silicon Micro-LED development and production. UK-based GaN-on-Si MicroLED developer Plessey Semiconductor announced a collaboration with EV Group (EVG), a wafer bonding and lithography equipment producer. As part of the agreement, Plessey purchased EVG's GEMINI production wafer bonding system to enable bonding and alignment at Plessey’s fabrication facility in Plymouth, UK. Plessey says that the new system will enable it to bond its GaN-on-Si microLED arrays to the panel’s backplane at a wafer level. 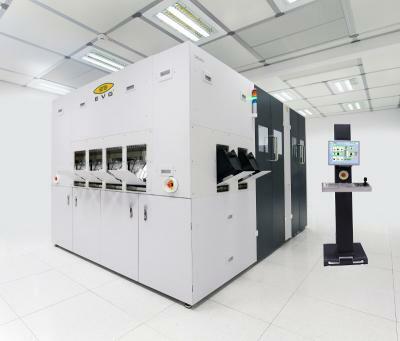 Plessey also says that EVG’s patented automated bond alignment system technology is suitable for Plessey’s requirements because it allows face-to-face alignment of the wafers with very high precision which will enable very small pixel sizes. Laser equipment maker Coherent says that its customer have expressed a "reasonable amount of interest " in its Micro-LED solutions. The company is taking orders for R&D tools, but it says that mass production of Micro-LED displays is "still years away". Coherent offers several laser-based tools used to produce Micro-LED displays, including Laser Lift-Off equipment (LLO) used to separate micro-LEDs from the sapphire wafer and Laser Induced Forward Transfer (LIFT) used to move micro-LEDs from the donor to substrate. UK-based GaN-on-Si MicroLED developer Plessey Semiconductor announced that it has placed an order for Aixtron's AIX G5+ C MOCVD reactor that will expand Plessey's production capacity for gallium nitride on silicon (GaN-on-Si) wafers. LEDInside reports that Taiwan-based Gallant Precision Machining (GPM) has started to develop Micro-LED production equipment. GPM currently develops LED picking and transfer equipment, washing equipment and testing equipment. GPM is targeting several markets, and its LCD equipment currently accounts to 50% of its revenues. France-based 3D GaN LED developer Aledia has selected Veeco Instruments’s Propel GaN metal-organic chemical vapor deposition (MOCVD) system to support its advanced R&D. Aledia aims to scale up its technology for large-area silicon using Veeco's system. Veeco's Propel system will enable Aledia to process 6- and 8-in. wafers or 2- to 4-in. wafers in a minibatch mode. Aledia already uses Veeco's K465i MOCVD system.